Have a Happy, Safe and Healthy New Year! When you are making your New Year' Resolutions, I hope you will consider volunteering at a local road race. If possible, help to sponsor a local race or help a new runner understand proper training. Also, help your neighbor who might need some assistance. If we all do a few kind acts to help others who are nearby, I am sure 2019 will be a great year. A heavy rain the week of the States and nearly 15 inches of rain above normal for Central Ohio for the year the Championships was postponed for a week due to an unusable course. With more rain the day before the Championships another new course was created - Perhaps the best course yet for National Trails as the athletes ran in front of the grandstands twice before finishing in front of the grandstands. As a high school coach my goal is always to have the athletes run the best they can at the end of the season. This year on a soft course 25 of 27 girls and 15 of 17 boys ran their fastest time of the year at our League Championships. At the District Championships all 7 girls ran faster than the week before and 5 ran a life time best. In the boys race 4 of the 7 guys ran faster than they did at the League Championships. Vote for the RUNOHIO 2018 Runners of the Year Via e-mail, snail mail or online. Registration for the Arnold 5K Pump & Run starts November 1 st. The event has sold out in 2-7 days in the past years. Registration for the Arnold 5K will reopen after the Arnold 5K Pump and Run is closed. 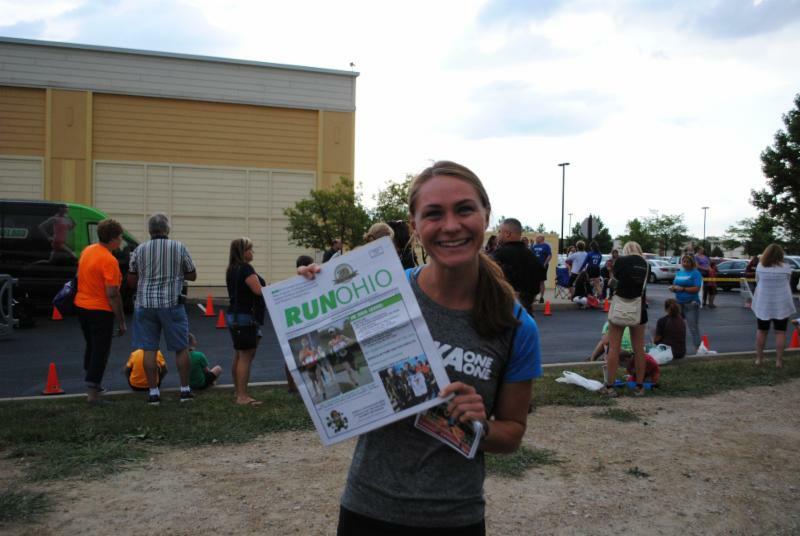 Race directors have your 2019 races listed free in the print RUNOHIO and on the RUNOHIO monthly web Race Calendar.